At Greywolf Veterinary Hospital we will do our very best to make your pet's stay with us a happy and comfortable experience. We will take care of your pet and their needs as if they were our own. Greywolf Veterinary Hospital staffers are highly experienced and trained to care for your pet and to report any problems to the attending doctors. 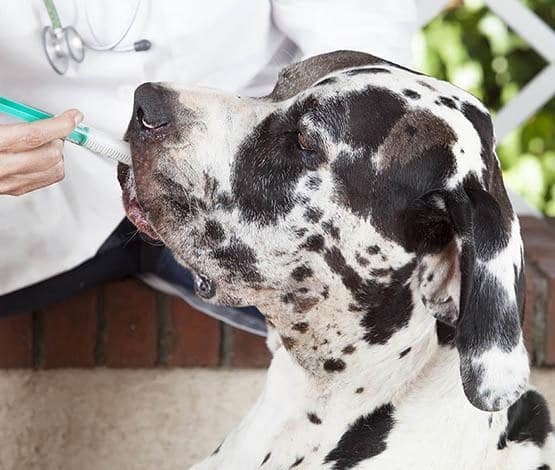 Additionally, we require all boarding pets be current on basic vaccinations, protecting your pet from contagious diseases. Despite all precautions, it is still possible for problems to occur. If any problem such as decreased appetite, loose stool, or vomiting should occur, our experienced caregivers will detect it. 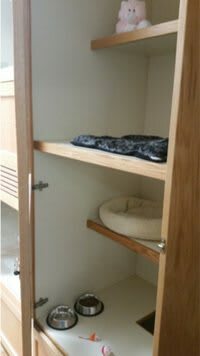 Even with the best care, boarding can be stressful because your pet is in a new environment and normal routines and habits are interrupted. Our staff minimizes stress by attentiveness, proper handling, and strict cleanliness. At Greywolf Veterinary Hospital a doctor is nearby to handle small problems before they turn into large ones. If problems develop and persist, our kennel assistants may ask a doctor to examine your pet at the cost of a physical exam. If the doctor feels treatment is necessary, you will be contacted by phone and any additional treatments will first be authorized. If we are unable to contact you and the doctor feels there are serious problems, your pet will be treated and normal fees will be charged. It is very important you leave a contact number so we can reach you in an emergency or to pre-approve any potential treatments. 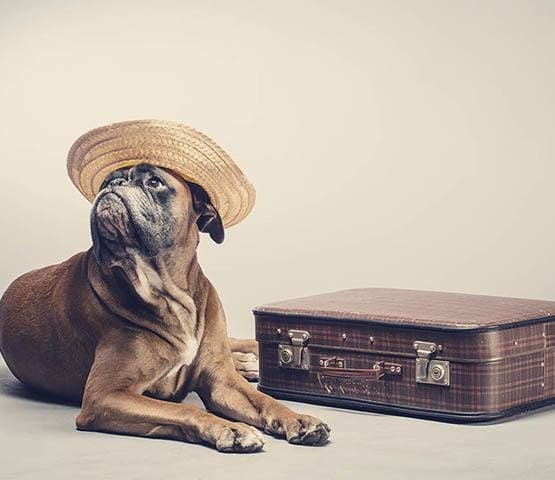 We want to make sure your pet receives proper food and medications while boarding with us. Please bring all medications and special foods they are currently taking. We ask that you bring an extra 1-3 day supply of food/medication in the event you are delayed in picking up your pet. Please be sure to let us know if your pet should not have any treats or food other than what you have brought with you. If your pet is not on a special diet, we provide Purina EN kibble to our boarding pets. This is a highly digestible food that is ideal for pets that may be under stress. Bowls are provided, as well as bedding, but if you choose to bring your own bed, it must be machine-washable. For a speedier check-in the Boarding Sheet can be printed and filled out prior to boarding. Please bring (or email) a record showing that your pet is current on these vaccinations. In addition, we do require that pets be free of external parasites, such as fleas. Any fleas found during your pet’s stay will be treated at your expense. Please note that we are unable to offer boarding services for diabetic pets at this time. You can bring your pet for drop off any time we are open! There is no specific pick up time, as you are only charged for each night that your pet remains in our care. Please call or contact us today to learn more about our boarding services, specials, and complimentary add-ons. For stays longer than 10 days, you’ll receive a 10% discount!